Beverly Hills Cop II is a 1987 action-comedy film starring Eddie Murphy and directed by Tony Scott. It is the first sequel in the Beverly Hills Cop series. 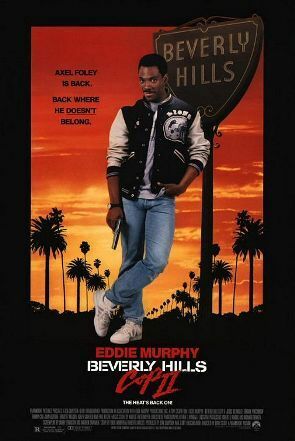 Murphy returns as Detroit police detective Axel Foley, who returns to Beverly Hills, California to track down a group of international munitions smugglers involved in a series of armed robberies. He reunites with Beverly Hills detectives Billy Rosewood (Judge Reinhold) and John Taggart (John Ashton) to stop the gang after their friend, Captain Bogomil (Ronny Cox), is a victim to one of their crimes. "Axel Foley is back. Back where he doesn't belong."